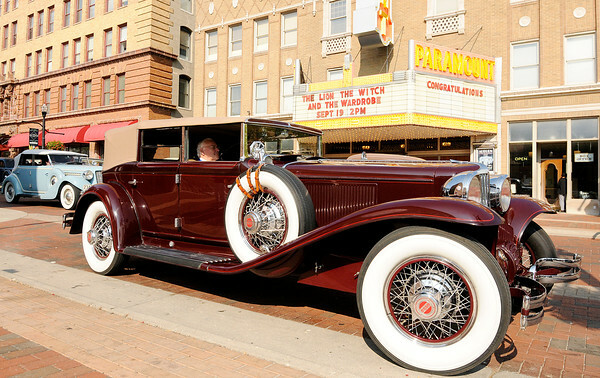 A classic Cord parks on Meridian Street in front of the Paramount as 25 cars from the Auburn Cord Duesenberg Festival visit Anderson for their Hoosier Tour. The tour promotes the festival that is happening this weekend in Auburn Ind. The tour will be at Hoosier Park Wednesday evening.